Is a blockchain without mining possible? Currently, many people perceive the concepts of the blockchain and mining as something indivisible and accompanying each other. In fact, the technology of blockchains can exist without mining a crypto-currency. How is this implemented? Why do you need mining and how does it work? In this article we will talk about these questions., and we’ll find out how the blockchain system is organized without mining by the example of the new CREDITS blockchain platform. So, in order to make the explanation process easier, we assume that there is a group of developers who decided to launch their own crypto-currency in a classic blockchain with mining. Since the digital coin itself does not have centralized storage and an issue node, and all users have equal rights in the network, it becomes necessary to introduce a mechanism that would ensure the irreversibility of transactions, as well as the possibility of verifying their validity by each member of the network. Such a mechanism is the process of mining. It allows all of the users of a distributed network of crypto-currencies to check transactions and add them to the blocks. · Timing for creating new transaction blocks as well as increasing the complexity of production as the number of blocks increases. · A network user, who first creates a valid transaction block that conforms to all of the rules and successfully passes the test, receives a certain reward. · The block that has the most valid transactions is added to the chain. The creation of new units and the verification of transactions are stimulated by the network itself through the accrual of awards. But how can we limit the speed of creating these blocks? After all, without these “limits” we would have got millions of empty blocks out of nothing. Here, the calculation of a hash having a value below the specified one comes into play, which is essentially the main task of mining performed by the computing power. How to calculate this hash? All blocks consist of several fields, which, when concatenated, are converted to a large accumulation of bytes. This array must be “skipped” through the hash function, having a definite hash value. Now, the system determines whether the value of the one ,that is needed to add a transaction, is less or not. If the conditions are not met, then it is necessary to continue the search further. How it this done? Each block has its own meaning “nonce”. This number is several bytes in size, and must be incremented by one, then added to the block and the hash calculated again. This procedure continues until we get the required value. A reward is given to those who first achieve this result. 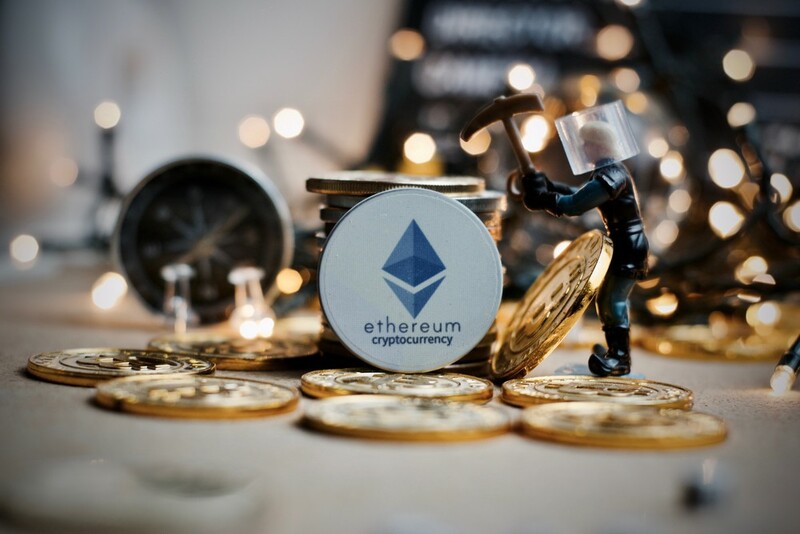 Thus, the use of cryptography, namely hash functions, in mining, allows us to limit the “growth” of the blockchain by introducing complex mathematical calculations. In addition, the mining process is kind of a crypto-currency issue. Thanks to those engaged in mining, the number of coins in circulation is growing. Why is a blockchain with mining not ideal? · Long-long-long. It takes a lot of time to test a transaction and add it to the chain. So to speak, for example, about the Bitcoin network, then for one translation it takes from 1–30 minutes and this is provided that the user establishes a normal commission. Speaking about the speed of OLTP-transactions used in classical banking systems is not needed. · Expensive. Mining with the passage of time and the growth of a network requires more and more computing power, which leads to an increase in the cost of the whole process on a world scale. Is it possible to get rid of these shortcomings, but at the same time preserve those qualities of the blockchain, that are appreciated by many users? Certainly! Already today, there are projects that offer radically new approaches to a blockchain technology without mining. One of those is Credits. Let’s consider its features in more detail. Availability. Commissions within the system are up to 0.001 US dollars. Speed. The technical features of the blockchain allow you to bring the speed of operations to a new level: approximately from 0.01 to 1 seconds per operation. The volume of transactions. The internal architecture of the platform allows for more than 1 million transactions per second. Lack of mining. Users will no longer have to spend huge sums to constantly upgrade their production equipment. These are just some of the advantages of the CREDITS platform, given in a brief overview. The main feature of this project lies in its technical implementation. Lets consider the “insides” of CREDITS closer. · The main node. This node takes on the task of analyzing and confirming transactions from the whitelist, as well as adding them to the registry. · Trusted site. The node involved in the analysis of transactions, as well as the compilation of the primary “white list”. · A normal node. Participates in the choice of trusted and major nodes. Thus, in the process of confirming / rejecting transactions, all the nodes included in the network participate to some extent. Someone casts their vote for a trusted or principal node, someone makes up a white list of transactions, and someone confirms the transactions by adding them to the registry. To achieve maximum network performance, the CREDITS project uses its own unique consensus protocol based on DPoS + BFT. The right to get the status of the main node of the network is obtained by someone who has a more powerful server or better network quality. 1. The creation of a list of trusted sites. 2. Getting a complete list of transactions. 3. Analysis and processing of candidate lists, voting of all nodes. 4. The creation a list of all confirmed transactions and add them to the register with the time stamp and hash code of the block that contains the transaction. 5. Send a new transaction block to all nodes. Thus, due to the fact that transactions are transferred to the main node, where they are processed and added to the registry, there is no need for a mining process. Accordingly, the speed of transactions is significantly increased. The CREDITS platform is a good example of how a blockchain system can exist without mining. The unique technology involved in this project has very great prospects and, perhaps, in the near future will be able to shake the classical crypto exchange industry. More detailed information about the technical specification of the project and its development can be found on the official website of the developers.